.300 Win Mag vs .30-06: Which Cartridge Should You Buy? Whether you take archery as a source of pleasure, or you have some passion for this old sport, you take your arrows seriously, right? It’s the point of the arrow that defines how it may function. So, you’ve got a crucial thing to consider. The arrow tips are one of the many things that can affect your performance in archery. For many beginners, the arrow tips may seem irrelevant, and they mostly concentrate on the tactics of archery. Although the techniques are essential to master this sport, the arrow tips are of great value as well. Why are arrow tips important? Beginners often ask this question. The arrow tips are very important because this can help you catch your game or practice shooting at your target with higher precision. Each arrow tip serves different purposes, either that being hunting or shooting at targets. Choosing the wrong arrow tip can make a huge difference. If you use an arrow tip that is meant to catch smaller game onto a larger animal, the arrow tip won’t penetrate the animal. If you use a common shooting arrow tip onto a fish, the fish may escape after being hit. There are specific arrow tips for accomplishing specific tasks, and you can’t use one as a direct replacement for another. In modern archery, six different types of arrow tips are usable with arrows. Each arrow tip is meant to perform a different task, so you must know the difference between each tip to identify which arrow tips you should use. The bullet arrow tips are the commonly used arrow tips for practicing archery. It can also be used for hunting down small animals and birds. The end of the arrow tip is shaped just like a bullet. When the arrow tips hit the target, it can pierce right through without any trouble. The field arrow tips are a similar variant of the bullet arrow tips. The field arrow tips have sharpened edges with a distinct shoulder-like structure, which prevents the field arrow tips to get stuck entirely into the target or the animal. You can easily remove the arrow after the shooting, which makes it ideal for target practice and small game hunting. These arrow tips are designed specifically to kill small animals with immense force. This arrowhead is made from rubber or plastic and does not feature a sharp edge. This ensures that the arrow doesn’t go right through the animal, and so the animal can die a quick and humane death. The blunt arrow tips are widely used by traditional archers and can be used for hunting down rabbits, squirrels, and other small animals. The grabbing arrow tips are specialized blunt arrow tips which have protruding wire springs. These wire springs can grab onto the target, and this prevents the arrow from getting lost. These arrow tips are best for target practice in the woods. As the name suggests, the fishing arrow tips are best for catching fishes. These specially designed arrow tips feature a completely steel body and a protruding steel bard. The sharp tip can penetrate through the tough scales of the fish, and the steel barbs hold onto the fish. These usually have a screw-off or retractable barbs so that you can easily remove the fish after it has been caught. The broadhead arrow tips are the most commonly used arrow tips for hunting. The arrow tips are designed to have more aerodynamics which enables it to fly faster and at a longer distance. It can cause large wounds in the game which is why it is very effective in hunting. Arrows can have a great impact on the accuracy and penetration of the arrow tips. Always try to use high-quality arrows so that you can hunt down your game or shoot the target at a higher precision. We recommend using gold tip arrows or black eagle arrows, as these are the best in the market. Choosing the archery bow is very important because it will affect the speed of the arrow. Try to choose a top-notch bow or top-notch crossbow that fits the draw length and draw weight of your body. Arrow tips are very important in archery. Choosing the correct arrow tip can make a huge difference in the accuracy and penetration of the arrows. In modern times, there are six different types of arrow tips that you can use for target practicing or hunting. The bullet arrow tips, field arrow tips and grabbing arrow tips are the best if you want to practice targeting. The fishing arrow tip is great for fishing whereas the blunt arrow tip and broadhead arrow tips are great for hunting animals. In conclusion, always use the best tools for archery as this affects the precision of your shots. 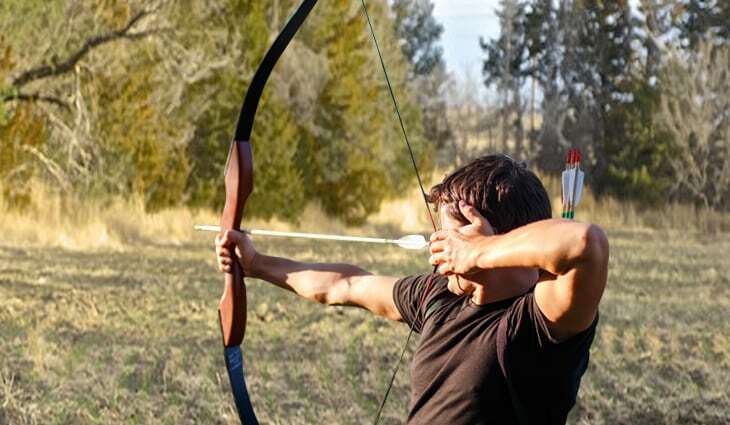 Know the bows and arrows that you are using to enhance your archery experience. Master the use of all the arrow tips and use the ones that best suits your purpose.